Septentrio has launched two new GNSS boards. The AsteRx-m2 and AsteRx-m2 UAS OEM boards provide GNSS positioning with interference mitigation technology on ultra-low-power boards. The boards are being showcased at AUVSI’s Xponential 2017 this week in Dallas, Texas. 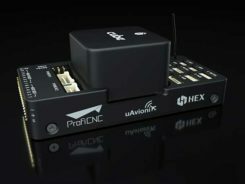 The credit-card sized AsteRx-m2 and the AsteRx-m2 UAS offer all-in-view multi-frequency, multi-constellation tracking and centimeter-level real-time kinematic (RTK) position accuracy for low power. Both boards can receive TerraStar satellite-based correction signals for precise point positioning (PPP). The AsteRx-m2 and the AsteRx-m2 UAS feature Septentrio’s AIM+ interference mitigation system: an on-board interference mitigation technology that can suppress a wide variety of interferers, from simple continuous narrowband signals to complex wideband and pulsed jammers. 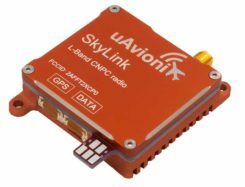 The increasing levels of radio frequency pollution — coupled with the intrinsic danger of self-interference in compact systems such as UAS — makes interference mitigation a vital element in any UAS GNSS system, Septentrio said. The AsteRx-m2 UAS is designed specifically for unmanned systems. It provides plug-and-play compatibility for autopilot software such as ArduPilot and Pixhawk. Event markers can accurately synchronize a camera shutter with GNSS time. The board can be directly powered from the vehicle power bus via its wide-range power input. The AsteRx-m2 UAS works seamlessly with GeoTagZ software and its SDK library for RPK (reprocessed kinematic) offline processing to provide RTK accuracy without the need for ground-control points or a real-time datalink. The AsteRx-m2 and AsteRx-m2 UAS are now shipping. Septentrio is located at stand 749 of Xponential 2017.